Heraclio Osorio-Arellanes, who is charged with participating in the murder of U.S. Border Patrol Agent Brian Terry, was taken into custody by Mexican authorities in Chihuahua, Mexico on Wednesday based on a provisional arrest warrant issued at the request of the United States. “The Department of Justice is pleased that the suspected killer of Border Patrol Agent Brian Terry has been captured and will now face justice for this terrible crime,” said Attorney General Jeff Sessions. Osorio-Arellanes is one of seven defendants charged in the District of Arizona with murder and other crimes arising from the murder of Agent Terry on Dec. 14, 2010. Osorio-Arellanes will be transported to Mexico City for extradition proceedings. 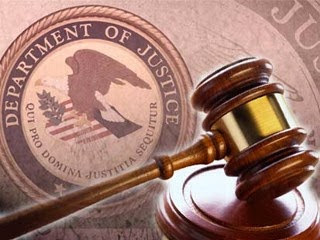 Defendants Ivan Soto-Barraza and Jesus Lionel Sanchez-Meza were arrested in Mexico and subsequently extradited to the United States in 2014. They were convicted by a jury of first-degree murder and other offenses in December 2015 following a jury trial and were sentenced to life in prison. Defendants Manuel Osorio-Arellanes and Rosario Rafael Burboa-Alvarez pleaded guilty to first-degree murder; Osorio-Arellanes was sentenced to 360 months in prison, while Burboa-Alvarez was sentenced to 324 months. Defendant Rito Osorio-Arellanes pleaded guilty to conspiracy to interfere with commerce by robbery and was sentenced to 96 months in prison. Defendant Jesus Favela-Astorga is a fugitive in Mexico. The Federal Bureau of Investigation, the U.S. Marshals Service, and Mexican authorities are working to locate this defendant.